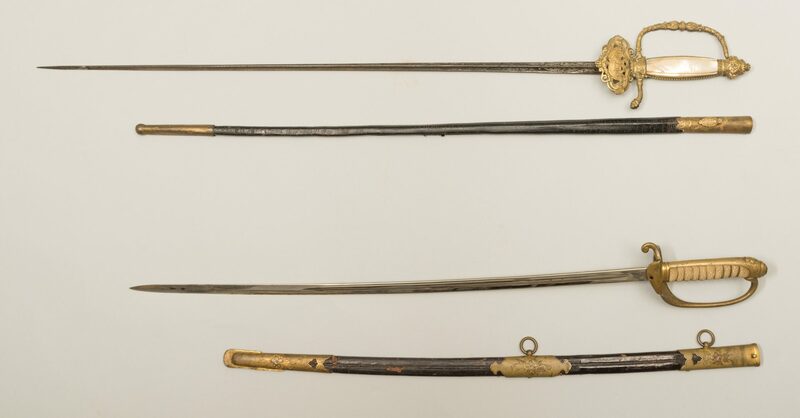 1st item: French or diplomat sword having a triangular engraved blade, brass handle with mother-of-pearl grip, and leather and brass scabbard. 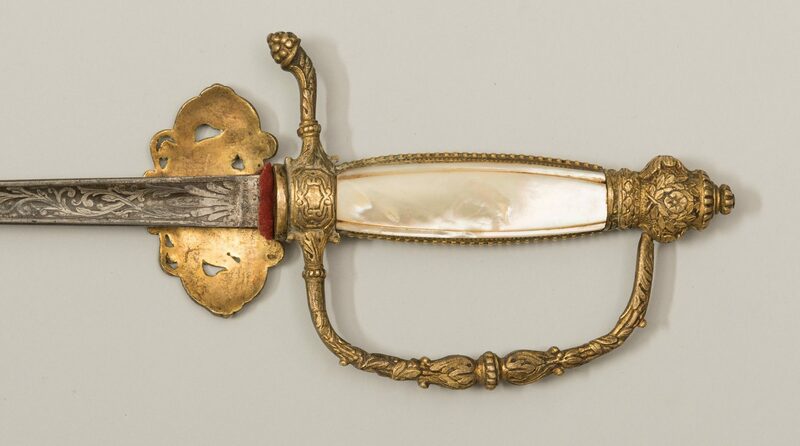 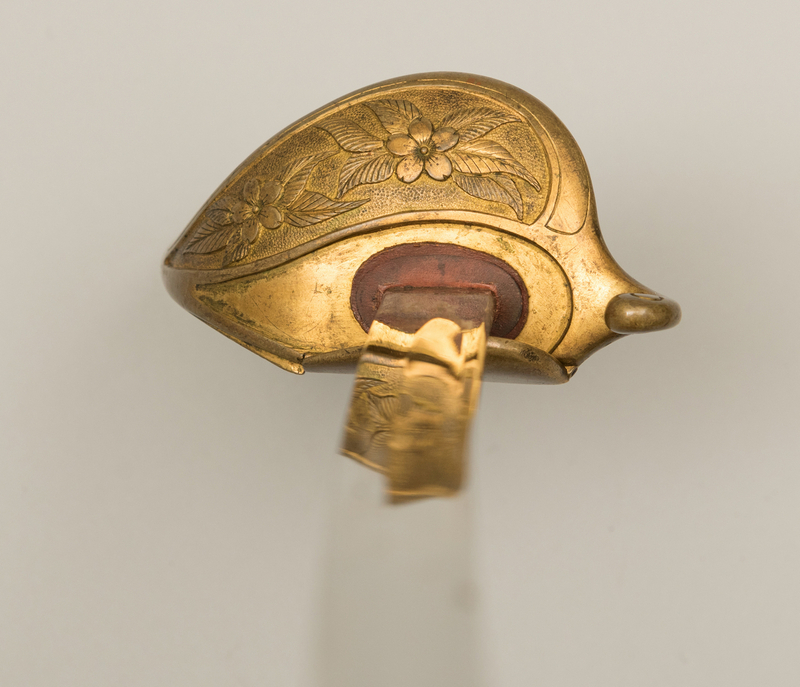 Brass handle features the coat of arms for Peru. Blade – 29 1/4" L. Overall – 35 1/4" L. 19th century. 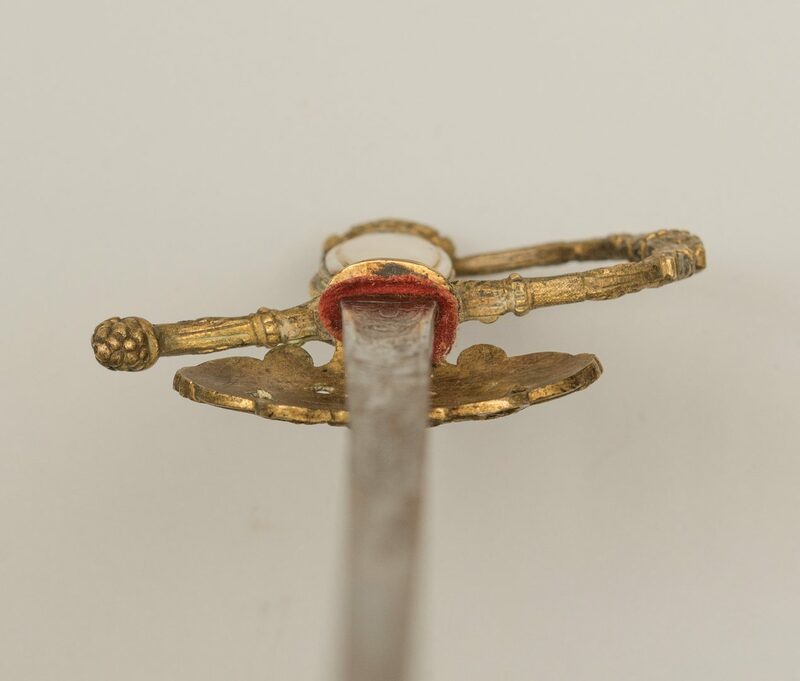 2nd item: Japanese M-1914 Imperial Naval Officer's dress sword, possibly Formosa Command, with brown leather scabbard with fittings having engraved leaf and raised cherry blossom decoration. The D hilt with engraved leaf and raised cherry blossom decoration and wire wrapped sharkskin handle. 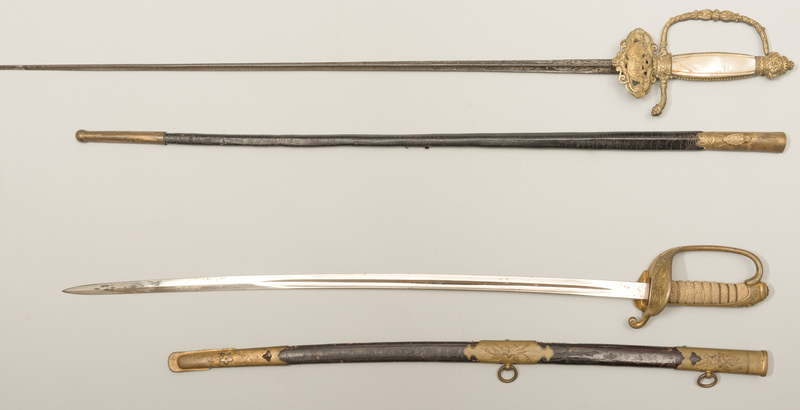 Blade – 25" L. Overall – 30 3/4" L. 1st half 20th century. 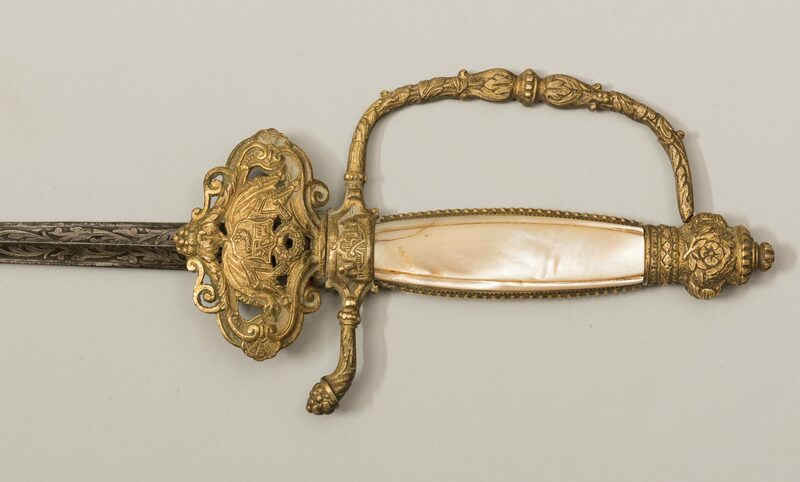 CONDITION: 1st item: Break to lower side of handle. 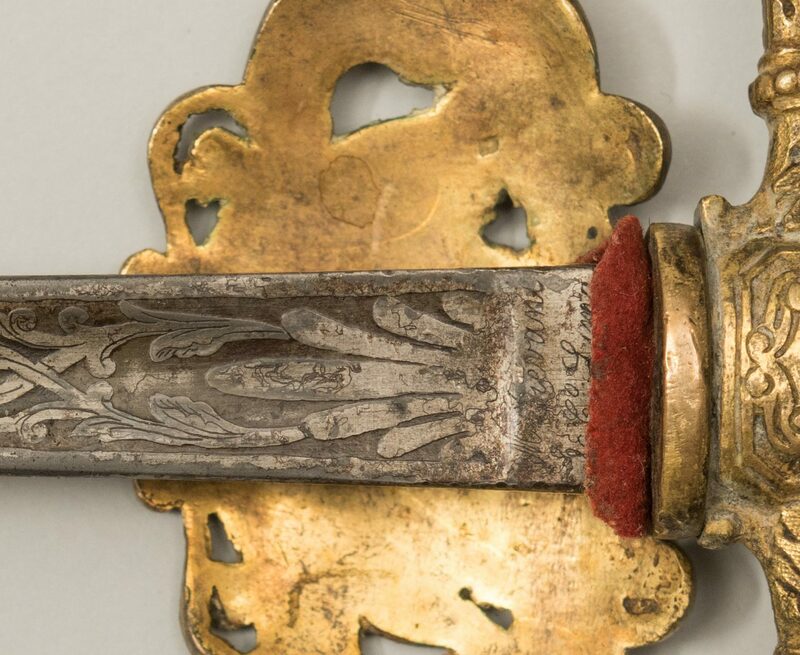 General wear and losses to leather scabbard. 2nd item: Wear and light losses to leather of scabbard, otherwise very good condition.